This week chartchums has been all over the map, metaphorically and literally. 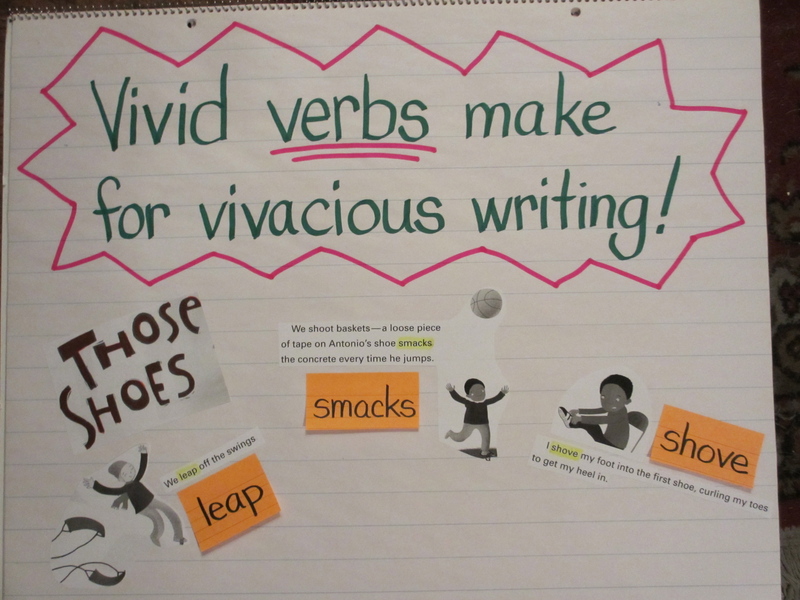 Marjorie attended the annual NCTE conference held in Las Vegas, and chartchums guest posted on the amazing blog: Two Writing Teachers. You can check it out here. 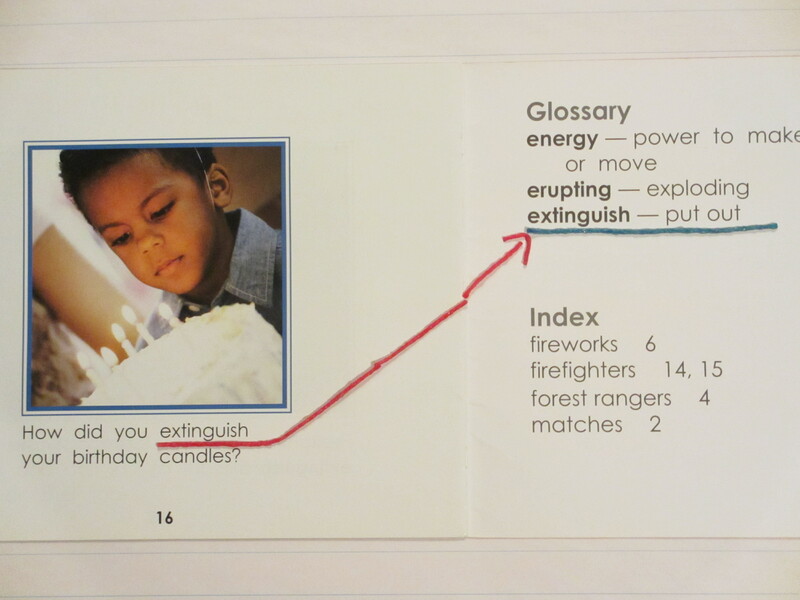 We posted some charting thoughts on Non-Fiction writing, which many teachers will be beginning soon. 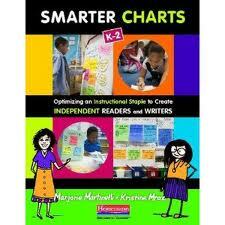 Two Writing Teachers also has a review of Smarter Charts and a Smarter Charts Book giveaway! 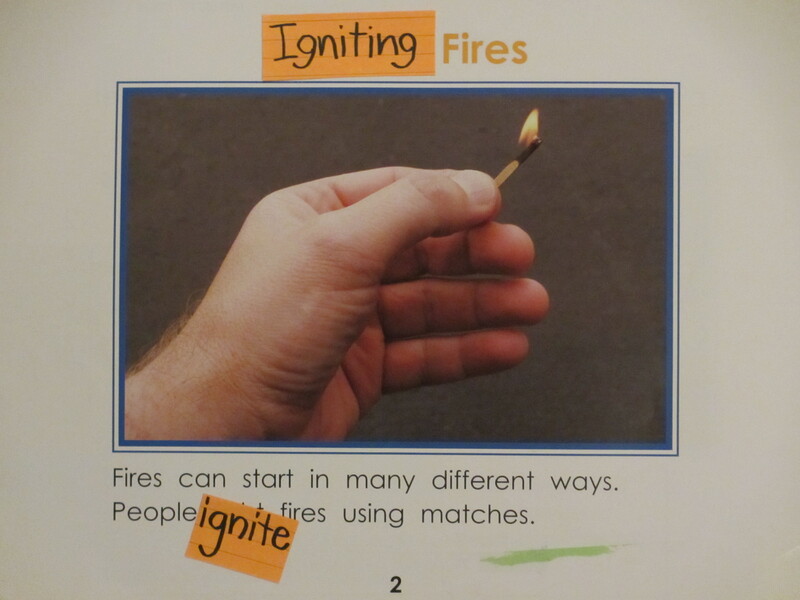 Check out the blog for tons of useful information about the teaching of writing. 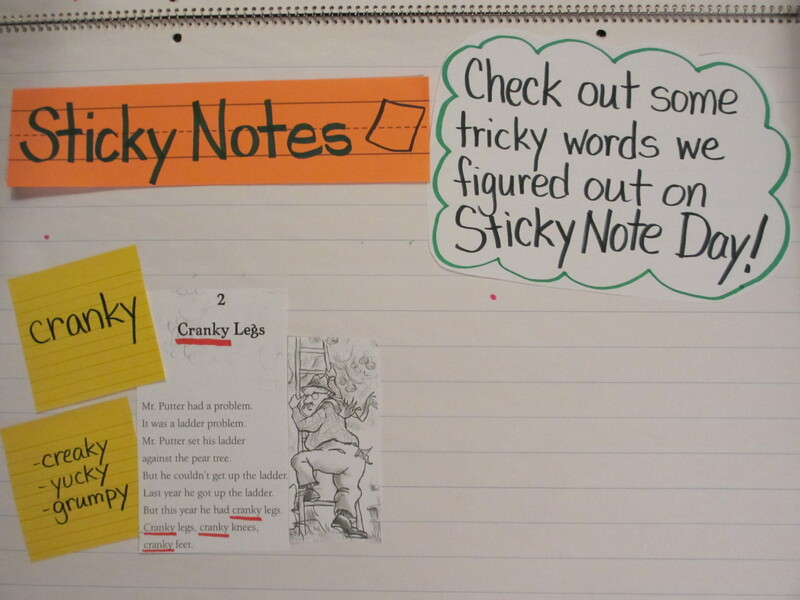 Since we touched base on some of the upcoming literacy work in that guest blog, we decided to dedicate the post this week to other types of classroom charts, and ways they can be used to create an independent, active, and inspiring classroom. 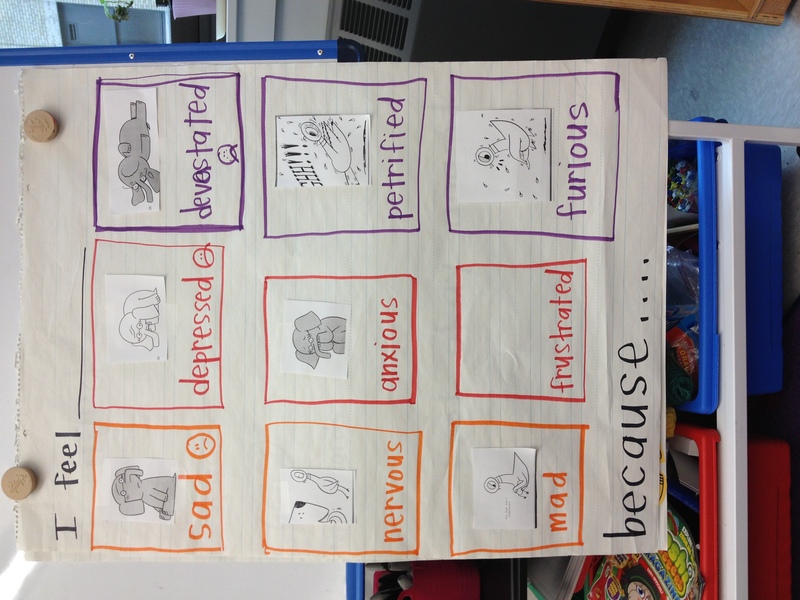 Children come to the area where this chart is posted and decide which kind of problem they have, then select which solution they will try. Underneath the “bummer” ask a teacher is listed as an option of last resort, and one that has not been used lately. There were many class discussions around what constituted a disaster, and there has yet to be (knock on wood) any classroom disasters. 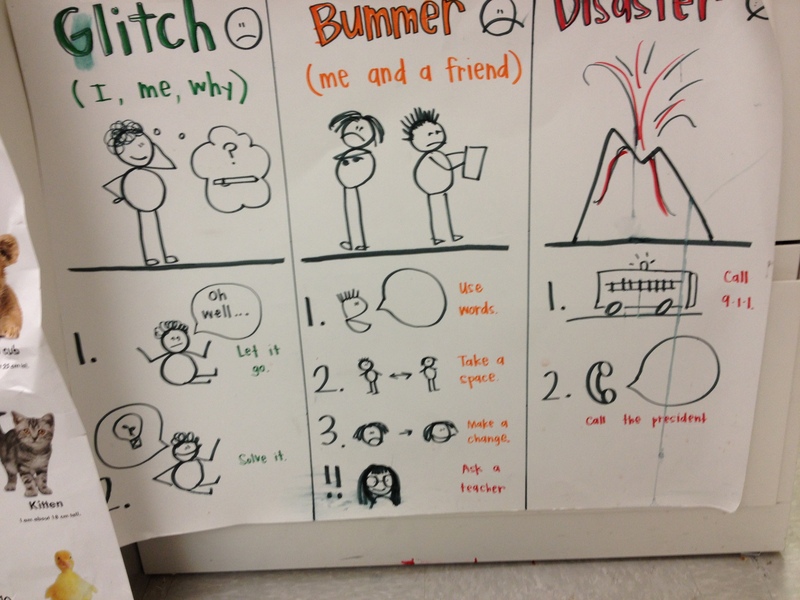 In a case of “life imitating chart” a parent told Kristi that when her son and another child from the class were playing over the weekend, they encountered a “glitch” and created a solution center in the corner to talk it out. This chart is in the beginning stages. 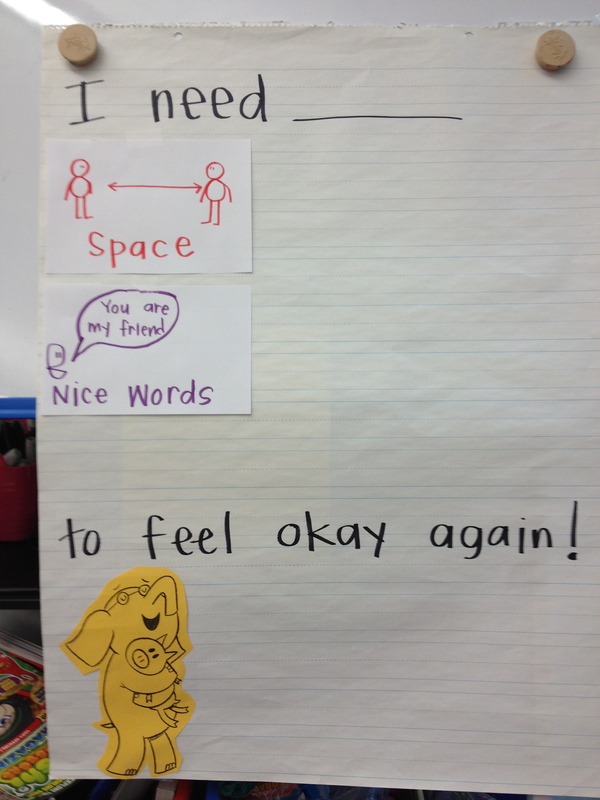 Children are co-creating signs of things they may need to feel okay. Among the ideas generated by the students are: a hug, you to stop, and a drink of water (the miracle cure!). Currently these two charts are hanging by the rug, where they can be used for role playing and during class community meanings, but soon they will head to the area by the solution center, where they can be used in the context of problem solving. The big idea here, the one we want to stick, is that everyone will have problems, but you have the power to solve them and to make your life and the classroom community a better, happier place. It is a laminated piece of posterboard with thirty squares. The squares are in rows of ten, with five red and five white making up the row. This is based on a tool called the rekenrek, which was designed to help children understand the relationship between numbers. 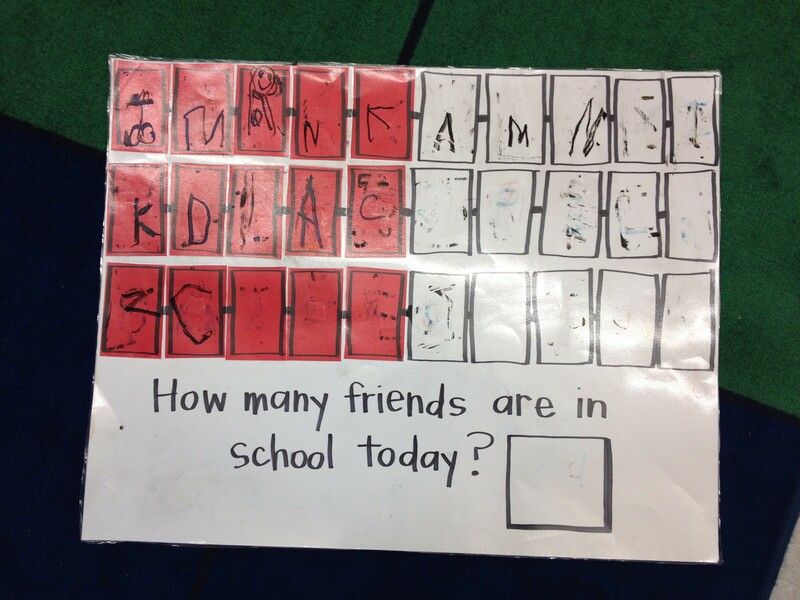 Every day children come in and put their first initial in one of the boxes (it is partially erased in this picture) and Kristi asks, “How many friends are here today?” In the beginning children said things like, “64!” But in the last few weeks, these kindergarten children have begun to develop different strategies to help them answer this question more efficiently. 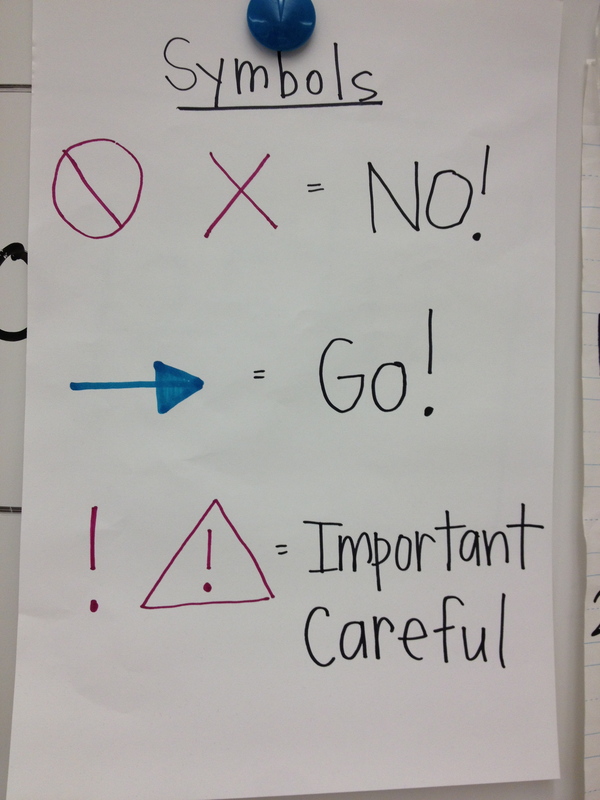 In an attempt to help other children sample these alternate strategies, Kristi charted them. 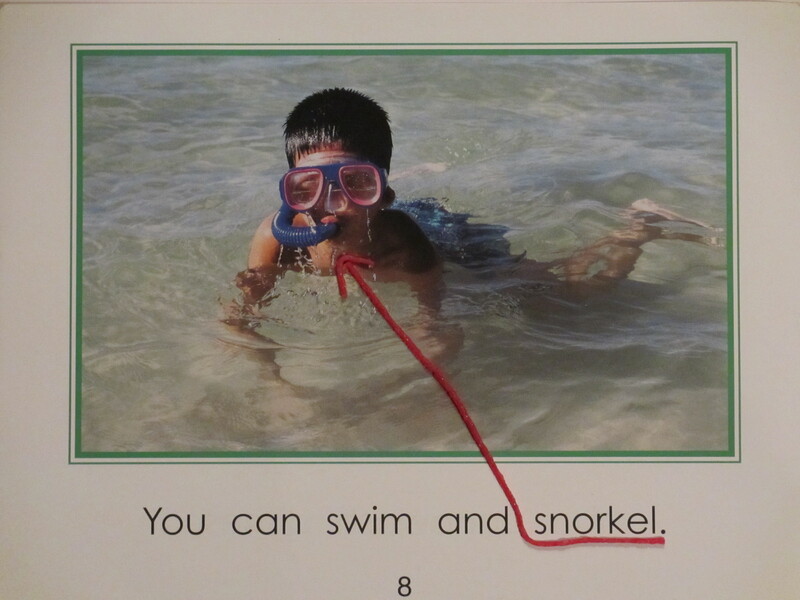 The strategies are named for the children who used them (the chart now has photos of the children next to their names). 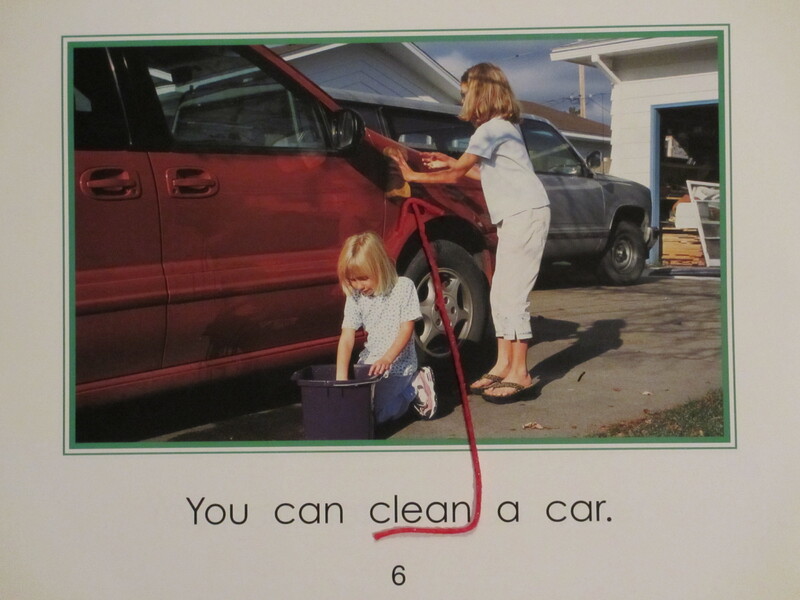 The first strategy, named by the child who tried it, has a speech bubble saying, “Count by 1’s” and then an illustration of what that looks like. 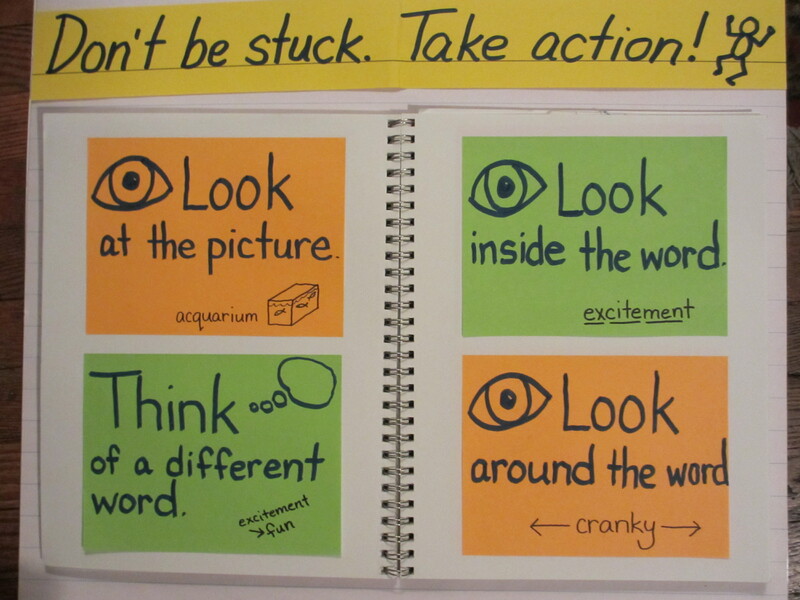 When children use this strategy they say they are using ____’s strategy. 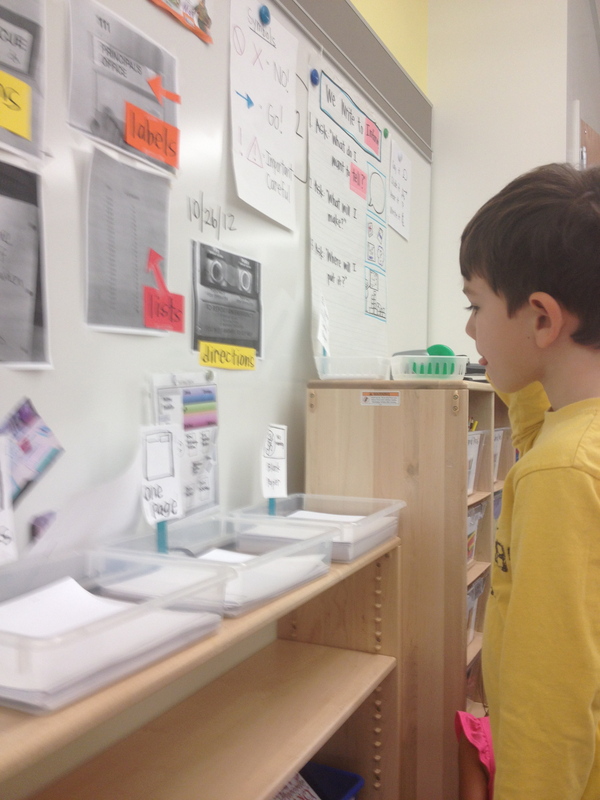 The strategies then become more sophisticated, with the next strategy involving jumps of ten, and the final one counting back from 30 (since there are ALWAYS thirty squares, according to the student). 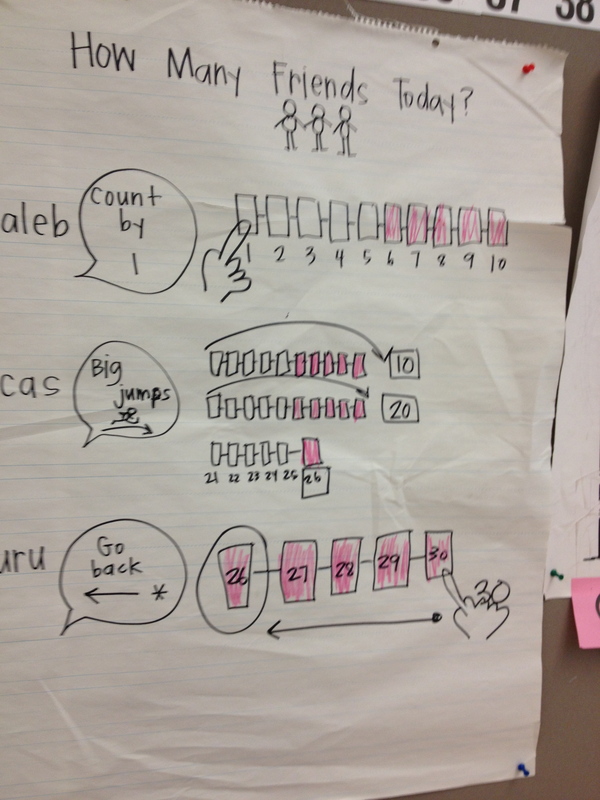 Just like literacy strategy charts, we have one big skill: counting the number of students, and several strategies to do it. Just like in writing or reading, children select the one they understand and are ready for, and there is room to add new ones as they develop. 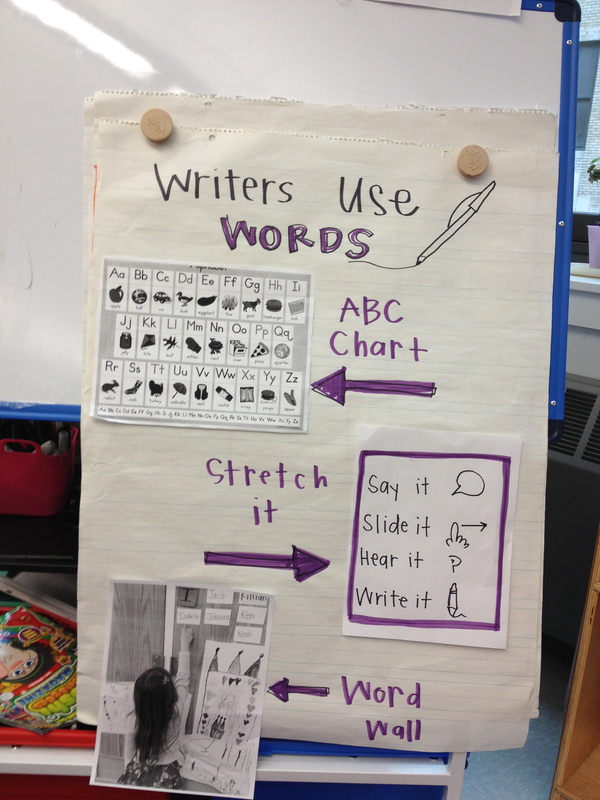 Last, but not least, lets look at a few writing charts. 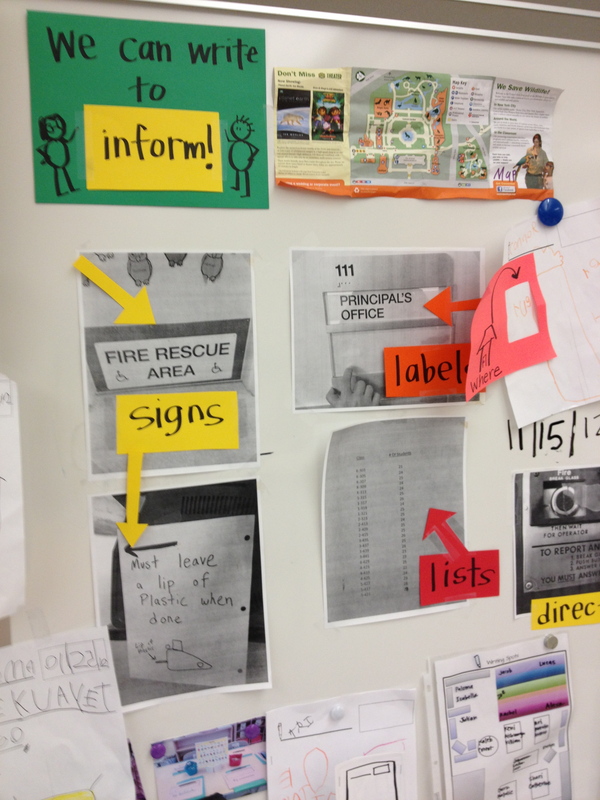 Right now in Kristi’s kindergarten classroom, children are writing for many purposes. The most exciting part of this unit has been the increased independence and reliance on the charts and tools in the classroom. First up: types of writing. 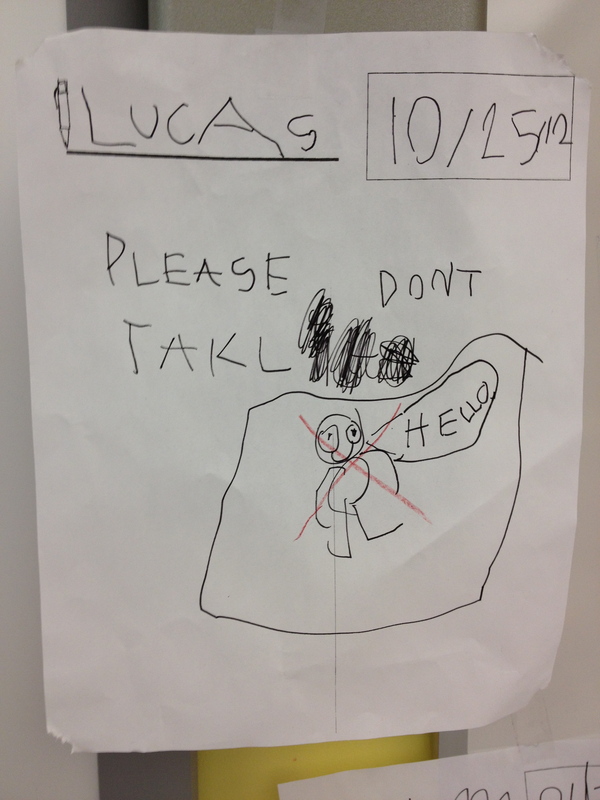 The class went on a walk and took photos of different kinds of writing in the school. 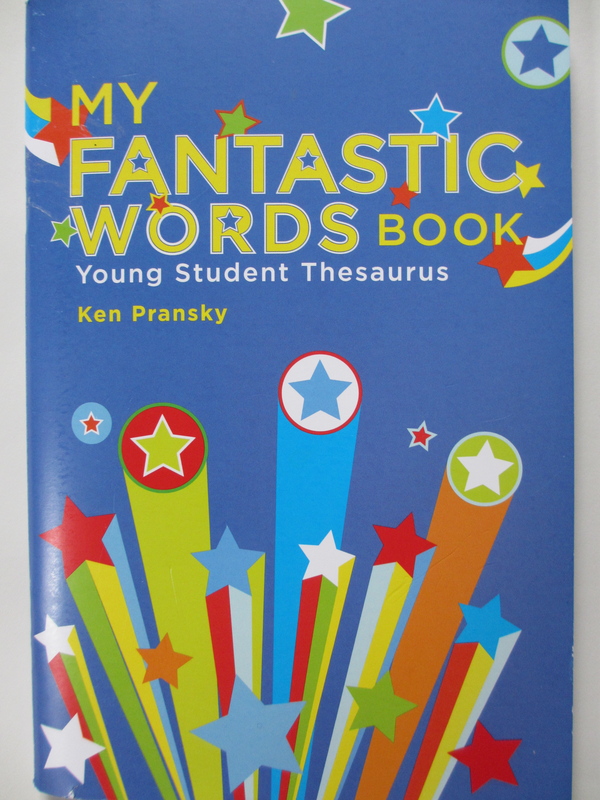 Children use this as a constant resource for what they will write. 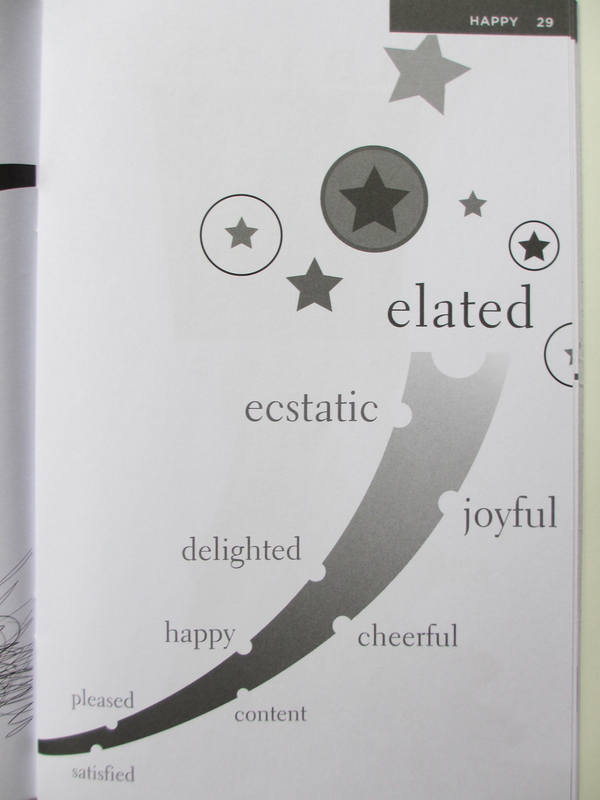 Types of writing in the school. Just like the math chart above, there is a big skill and a variety of options for children to select from to create powerful writing. As children turn to charts across disciplines, times of the day, and for a variety of purposes, they learn that help is often just a glance away. Now granted, there are always hard days and easy days in any classroom, but bit by bit when we create and use tools that empower children, we help them learn to help themselves. Across reading and writing, across the day, and hopefully in life. And that is one way we want life to imitate charts. Have a wonderful Thanksgiving holiday, safe travels, and of course: Happy Charting!